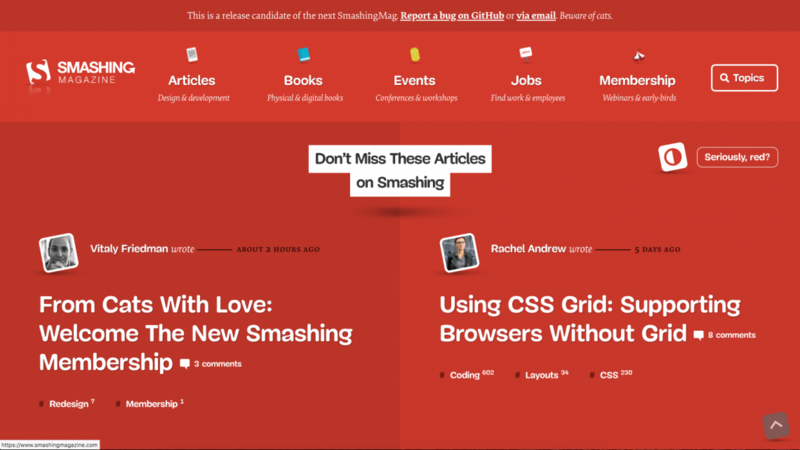 The Brand New Smashing Magazine! If you're unfamiliar with Smashing Magazine, where have you been!? As a web designer and front-end developer of over 15 years, in the early days, my first port of call when looking for fresh design ideas, cool coding techniques and the latest information from our industry was their website. 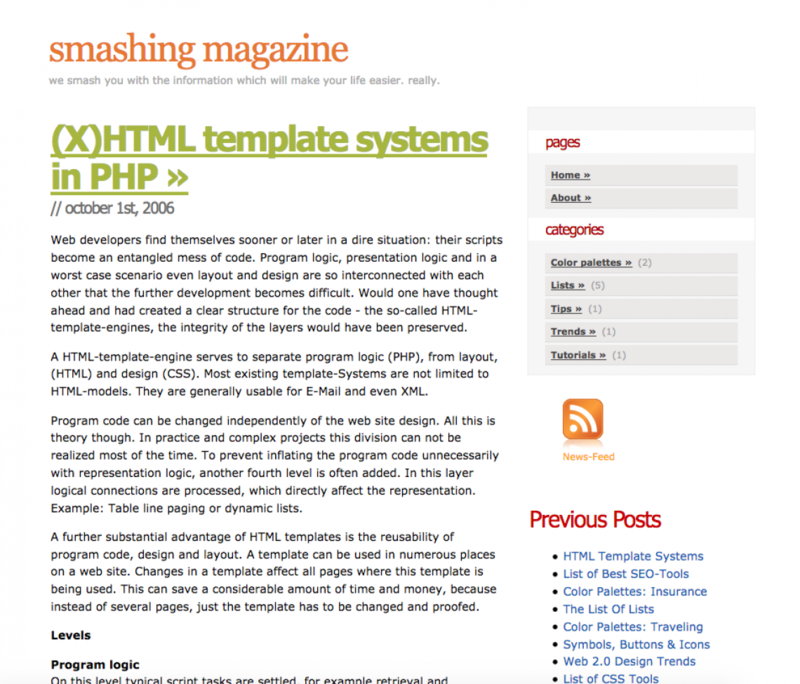 Over the years, the Smashing Magazine website has evolved from a simple blog layout to a whacky, full-width, fluid, boundary-pushing channel of info. 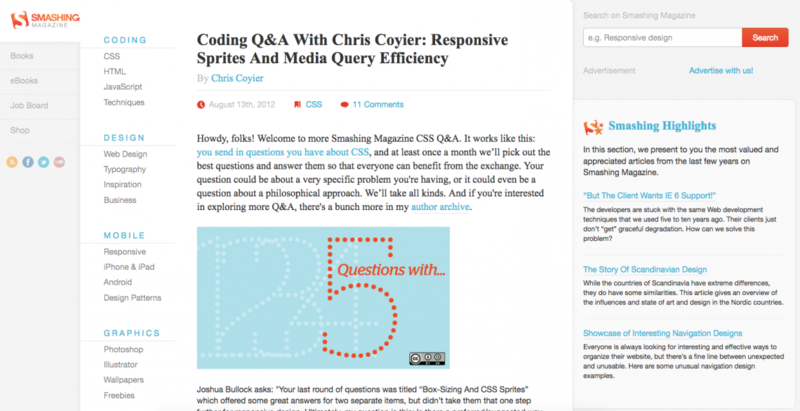 In 2012, it appears that this was the first time they went full-width. The layout and approach was unconventional, content was to be "discovered" through creative navigational positioning. Things seemed all over the place, but they all had a reason to be there. All the elements were planned, the userflow, although seemingly jagged, was thought about and it worked. Today, I saw a post on Facebook from Smashing Magazine announcing their brand new website that has taken 2 years to build! First impressions!? Holy moly!! It's red!! Very red! The layout looks quite defined and a lot easier to understand. On scrolling, you feel the page will go on forever through various blocks of content but with 4 columns, then thirds etc, the grid comes to life. With small headings for each section that change position throughout, it's clear they still want you to discover and spend time exploring. Well, we're off to explore further and check out this new website. Have fun!